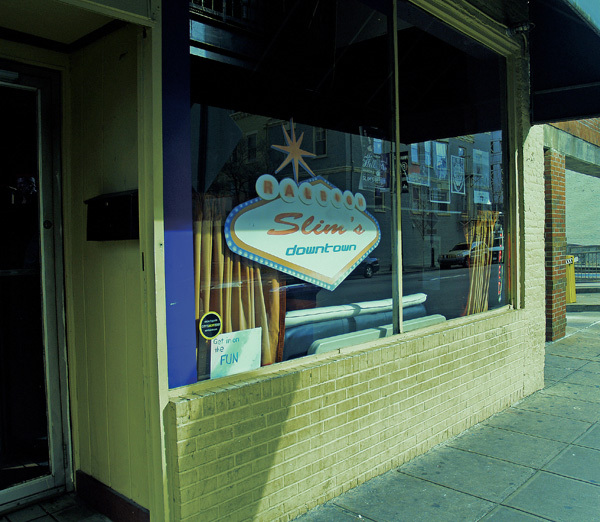 Slim’s is downtown Raleigh’s oldest music venue. Since 1999 we have provided a stage for bands on the rise as well as established acts wanting to play in a more intimate setting. 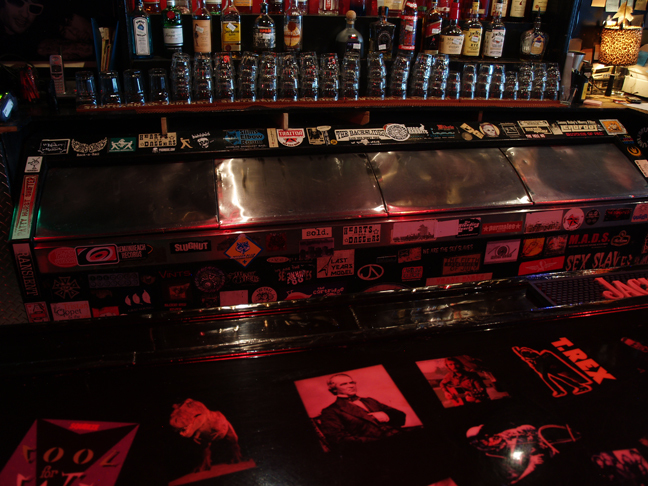 When you've seen a band at Slim’s, you've seen them up close and personal. With a capacity of only 100 people, you’re pretty much guaranteed to be close to the stage. 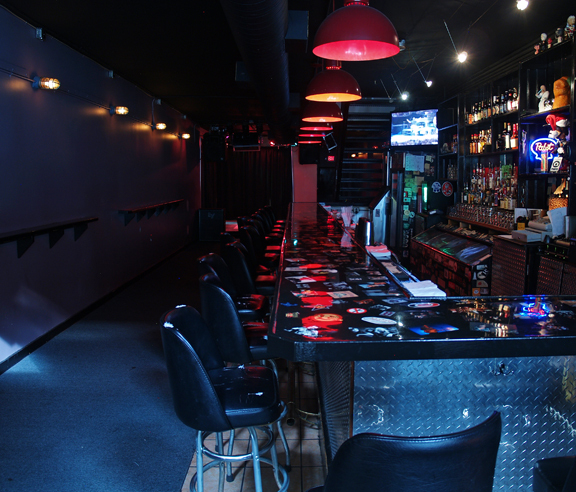 Slim’s has a large patio out back for smoking and an upstairs lounge with a pool table for when you want to have a little room to stretch out and relax. 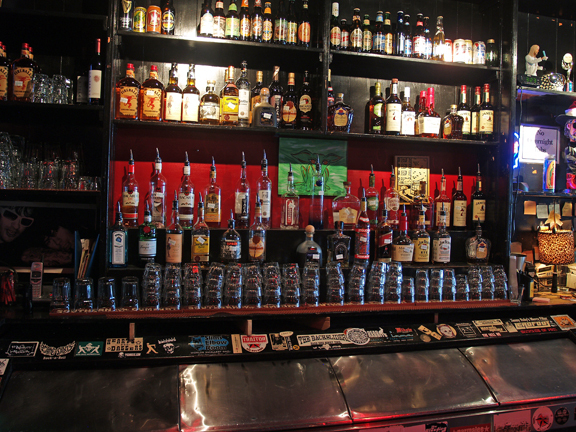 The bar is well stocked for those who take their drinking seriously. Our prices are low, too. 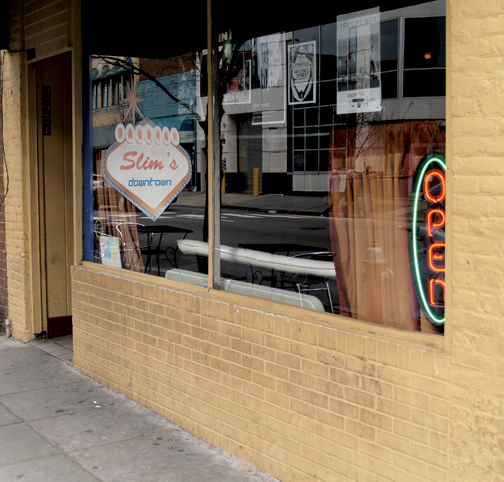 You don’t need to break the bank to have a great time at Slim’s. This is a picture of liquor. The beer is in the cooler below. A long view of the room. 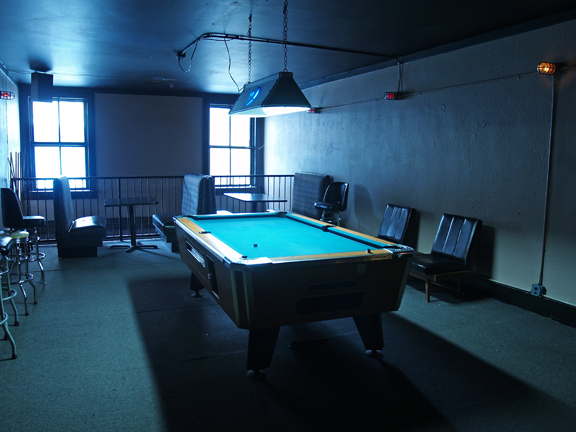 We have a pool table upstairs. We're Not Happy Until You're Not Happy. 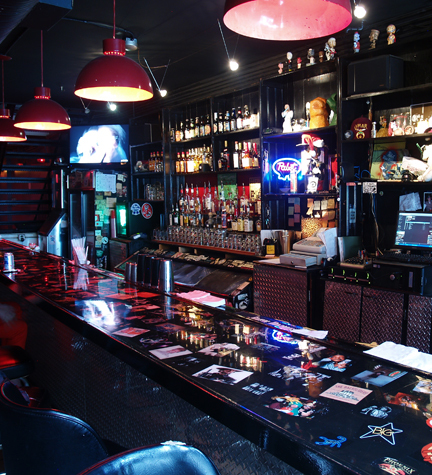 A look at the bar from Paulie's seat. 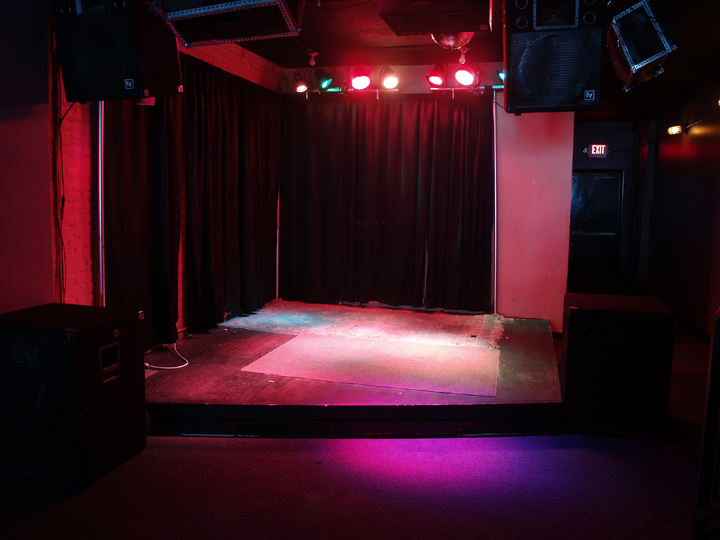 The stage at Slim's looks forlorn without a band.